LifeLock Review 2019: Safe, But Worth It? LifeLock Review: Is It Worth It? 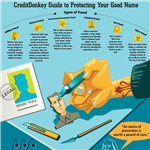 Protecting yourself against identity theft seems like it's worth its weight in gold. Do you really get as much protection as you think with services like LifeLock? Find out below. Last year more than 143 million people had their personal information exposed during the Equifax hack. This demonstrates just one of the thousands of security breaches that happen each year. LifeLock claims to protect your identity from these types of incidents beyond what a basic credit freeze offers. LifeLock claims to monitor more than just your credit. They monitor the dark web, unauthorized USPS address changes, online scams, and public records. The depth of the monitoring you get depends on the chosen plan. LifeLock also offers identity theft restoration services and 24-hour customer service. With a LifeLock membership, you can monitor one driver's license number and Social Security number. But you can monitor up to 10 credit cards and/or bank accounts. You may also enter up to five home addresses, email addresses, and phone numbers. Who Is LifeLock Best For? 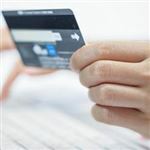 If you are at high risk for identity theft: Consumers who aren't proactive in their attempts to protect identity theft may benefit from the service. While LifeLock can't prevent identity theft, it can alert members of a breach. Think of it like an alarm system. The crime has been committed, but now you can attempt to minimize the damages. If you don't know how to recover from identity theft: Identity theft is overwhelming. Victims must take several steps to stop the perpetrator from doing more damage. There could also be damages that must be undone, such as unauthorized accounts opened in their name or fraudulent use of medical insurance/benefits. LifeLock's bread and butter is their restoration services, helping victims put their lives back together. If you don't regularly check your credit and/or financial accounts: Checking your credit reports, monitoring bank statements, and watching your credit card accounts is time-consuming. If you aren't vigilant about watching these accounts, LifeLock may give you a little peace of mind knowing you may receive an alert if something is amiss. 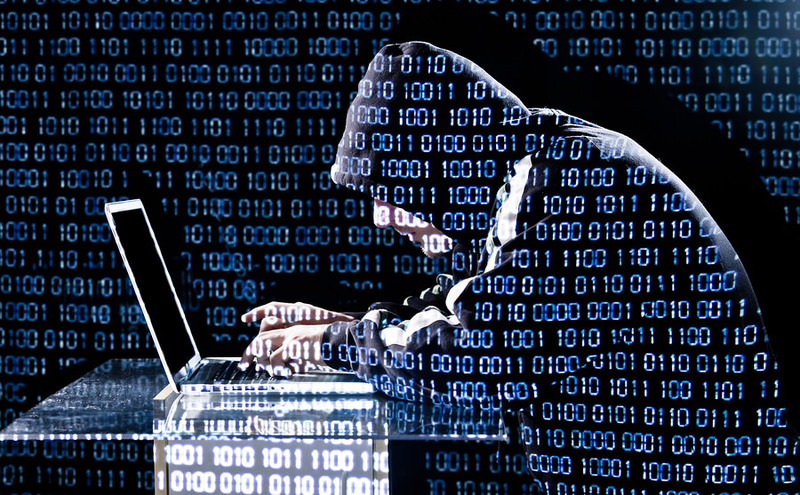 Learn of a breach early: There's no foolproof way to prevent identity theft or fraud. What LifeLock offers, though, is quick notification of certain adverse actions on your accounts. This gives you the chance to try to minimize the damages before they get out of hand. Restoration services help repair the damage: After you experience identity theft or fraudulent account activity, LifeLock's agents offer their services in fixing the problem. They may not be able to fix everything, but having their expertise on your side may help. Reimbursement for loss funds: Each of LifeLock's plans offer coverage, similar to an insurance policy for lost or stolen funds. However, their reimbursement is subject to many restrictions, especially if another insurance policy or financial institution will cover the loss. User-friendly platform and app: Members can access the LifeLock member portal on their PC, laptop, or mobile device. In the platform, members have access to their account information as well as all alerts, whether critical or non-critical. Members can view the alerts at their leisure and determine what/if anything they must do. Multiple alert options: LifeLock offers several alert options to make sure you are aware of a potential situation. They offer alerts via phone, email, and text. You can also customize the alerts you receive, changing thresholds for various accounts based on your needs. 24/7 customer service 365 days a year: LifeLock representatives are available for questions and concerns 24/7 every day of the year. However, any restoration services are only available during business hours. Lost Wallet Protection: Losing your purse or wallet may put you at risk for identity theft and/or credit card fraud. LifeLock offers assistance in handling the tasks necessary to stop anyone from using the lost information. They include this service in all 3 plans. Scans a trillion data points regularly: LifeLock claims to scan a trillion data points daily. The exact data points they scan will determine how well it protects you. However, it's likely more than you would scan yourself, and even a small bit of protection may help. Monitors accounts rather than freezes them: A credit freeze prevents thieves from accessing your credit information moving forward. If you were already hacked, though, the criminals have what they need. Monitoring may help alert you of any new activity even after you freeze your credit. Only one credit bureau monitored with the first two plans: You have to pony up and pay for the most expensive plan to get monitoring of all three credit bureaus. Since not all companies report to all three bureaus, you may not have the protection you need. Limited coverage guarantee: Despite their million dollar coverage guarantee, there are many limitations. If your identity is stolen or accounts hacked into, it must be due to some failure or defect on LifeLock's behalf for the guarantee to take effect. If LifeLock did what they promised and you still got hacked, the guarantee may not apply. No family plan: If you want to protect more than one family member, such as a spouse or child, you have to pay for separate plans. This could get costly depending on how many family members you want to protect. LifeLock Standard: As the cheapest plan available, this plan monitors one credit bureau and provides up to $25,000 reimbursement for stolen funds. LifeLock Advantage: The mid-plan still only monitors one credit bureau, but they also provide the credit score from that bureau. It also offers bank account and credit card monitoring and notifications of data breaches. LifeLock Ultimate Plus: The largest plan offered provides all of the above benefits, plus monitoring of all three credit bureaus with credit scores. You may also request monthly credit scores from one credit bureau; however, it is the Vantage 3.0 score, not FICO. You can also opt to have certain investment accounts monitored and receive alerts of bank account takeovers. LifeLock also provides priority customer service for Ultimate Plus members. Keep in mind: LifeLock does not do business with all banks, credit card companies, or financial institutions. Their scans may miss issues with specific companies if they are not within the LifeLock network. LifeLock's customer service seems to be where they shine. With accessibility around-the-clock, either on the phone or online chat, customers can ask questions and address concerns any time of day or night. If you experienced identity theft of credit card fraud, you'll need to wait until business hours to secure any restoration services, though. Chances are this is due to the representative's need for access to the bank and credit card companies that operate during business hours. LifeLock also offers a breadth of customer service options online. Their member portal is user friendly and provides all up-to-date information about your account statuses. Their website also offers a multitude of resources that may either answer your question or help you figure out what to do next. How to cancel: If you obtained your LifeLock service directly from LifeLock, call 1-800-LIFELOCK (543-3562). You can also cancel via your member portal. If you obtained the service through a third-party, you must contact the third-party to cancel. Identity Guard: With Identity Guard, you get basic identity protection with the exception of driver's license number monitoring. They offer a breadth of services that monitor what happens on your accounts, but they lack the restoration services needed to pick up the pieces. Their customer service is more of an "advice line" than professionals fixing the problem. ID Shield: With ID Shield, you get a $5 million guarantee if your identity is stolen, and you can monitor up to 2 adults and 8 children on one plan. However, they only monitor one credit bureau (TransUnion), no matter which plan you choose. In the event that your identity is stolen; however, you have access to private investigators who also help you restore your identity and/or accounts. IdentityForce: With IdentityForce, you get more than financial protection. They monitor social media sites, blogs, and court records too. Their most basic plan includes most everything LifeLock's most expensive plan offers. However, they do not offer a family plan. So is LifeLock worth it? If you are willing to pay for credit monitoring because you won't do it yourself, it may give you a little more protection against identity theft. Keep in mind that there's no way to completely prevent someone from stealing all or part of your identity. If you are not proactive in keeping your passwords secure and monitoring your accounts on a regular basis, it might be worth the peace of mind to know when something is amiss. 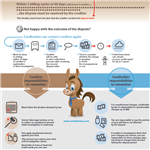 Share on Facebook "LifeLock Review: Is It Worth It?"